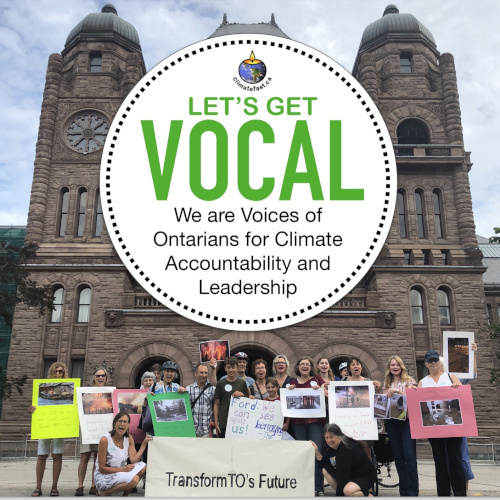 ClimateFast held a rally at Queen’s Park on August 14th to bring attention to the need for provincial government action on climate change. A number of local activists spoke at the rally including 11-year-old Zoe and 14-year-old Benjamin Keary-Matzner. 4 MPPs came by to meet the protestors: Jessica Bell of University-Rosedale, Nathalie DesRosiers of Ottawa-Vanier, Chris Glover of Spadina-Fort York, and Mitzie Hunter of Scarborough-Guildwood. They were very supportive and encouraged continued action on this issue. Further demonstrations are planned during the debate of Bill 4 in the Fall. Please join us by visiting our get involved page and volunteering.